A 53-year-old man who was seriously hurt in a downtown scooter crash last week has died from his injuries, the San Diego Police Department reported Monday. 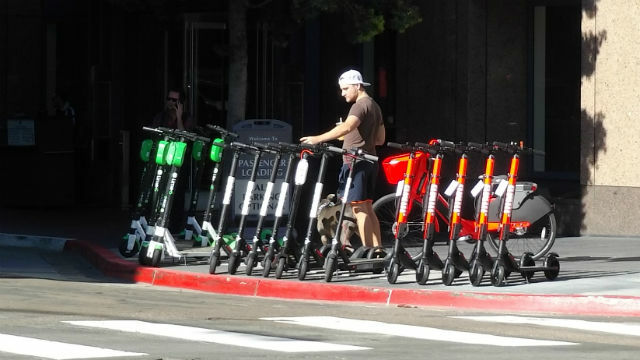 The department said it is the first fatality in San Diego involving a dockless scooter. The victim, Christopher Conti of Woodstock, GA, was riding a scooter northbound on the west sidewalk of 10th Avenue at 10 p.m. on March 13. As he approached B Street, he failed to negotiate a left turn and struck a tree. The victim was not wearing a helmet and sustained serious head injuries. He died two days later. Police said it wasn’t clear if alcohol was a factor in the crash. Anyone with information about the fatal accident is asked to call the San Diego Police Department at 619-531-2000 or San Diego County Crime Stoppers at 888-580-8477.